When you search for any product or service, you would certainly click on the results that appear on the first page of search results rather than visiting the 10th or 11th page of the search engine results. With the people showing interest and becoming lazy to go through the other pages of the search results, the competition for retaining or pushing up the website ranking to first page of search results is too high. There are millions of websites of same niche will compete with each other to position on the top page of search engine results. Few of the websites will practice SEO strongly and appear on first page in a short time while other could not. To improve your online presence and ranking in organic search results, you need to do SEO in a proper way and embracing white hat techniques to your web pages. SEO will bring huge traffic to your website and thereby improve the sales figure. The search engine ranks the website different for each keyword phrase or keyword embedded on the web page. The main aim of SEO is to make your website found easily for the people who are looking for your products or services from millions of site. If you are not aware of how to make your website SEO friendly, then you need to follow the below steps to optimize your website and make it search engine friendly. By practicing SEO effectively, you can get potential traffic to your sited thereby qualified leads. You need to hire an SEO expert who has sound knowledge on on-page, off-page and technical SEO to improve your site ranking. More importantly, these people very well know how search engine performs. Despite of you knowing the benefits of doing SEO for your site and are bemused of how to proceed, then you need to follow the below steps. Content is king and it drives quality traffic to your website. More importantly, the website that has informative content will engage the audience for a long time on the website besides reducing the bounce rates. Ideally, search engines ranks the website based on the retention rate of the audience on the site for a long time. Having quality content will improve your website ranking in a short time. There are a few websites who strive to improve ranking by posting duplicate and useless content which is not useful for the audience. When you post quality content, they consider you as thought leaders in your niche and visit your website frequently to get latest updates on your industry. 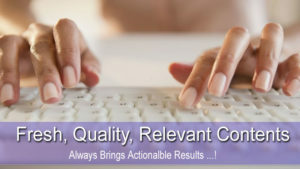 Moreover, quality content improves site credibility and retains the customers. This improves traffic and helps you get more back links. While writing on any topic that you want to share with the readers, make sure that it is helpful for the readers. You need to write the content for audience not for the search engines. You need to write content in a structured way by embedding keywords naturally instead of forcing them into the content to get good ranking. Ensure to post the content that is informative and engaging. The content that is intriguing will compel the readers to share it on the social media sites with their friends, thus helping you get huge traffic without spending a single dime to your website. Unarguably, content quality plays an integral role in the website ranking. So, ensure to post informative content on your web pages to improve site ranking. By adding links to the other web pages of your website will assure crawling and indexing of your web pages regularly. Whenever the crawler visits the web page with links to other sites have updated or fresh content, it crawl the page and redirects to the link and crawl the other web page, thus improving the ranking on SERPs. The links that takes you to the other pages are called as anchor text or anchor links. It is crucial for you to check the authority of the links prior to using them. When you use the anchor text of low authority, then it pushes down your keyword ranking. It is advised not to give anchor links to the target keywords. When the user clicks on the anchor link, they should redirect to the new page which should open in a new tab. The links you add in the content should be relevant to your web page. In anchor text, you can either embed the link or change the colour of the text to let users identify that they can get more information about that particular word in the other pages. The anchor text you use should be relevant to the content. Linking correctly is the best tip that will improve the site ranking. SEO can be done to your website by simply adding images relevant to the content. These images will engage the website visitors on the site for a long time. More importantly, it makes the site appealing and eye-catchy. The website that has less bounce rates will have better SEO results. Unarguably, the written content is better understood by the users with the added images. When a user can understand the content, it brings in a sea of traffic to the site. Ensure to add images that are appropriate to the content. You need to add Alt text to the images to let users find out what the image is all about, if the page loads slowly. More importantly, search engines can read the Alt text embedded in the image. In addition to alt text, you also need to add title, caption and description. The users searching with the keyword that you have embedded in alt text or description would land on your site. Keywords are the heart and soul of SEO. It is crucial for you to use branded keywords that are relevant to your brand or industry. You can also use branded keywords as anchor links over using the other keywords. It is easy for search engines to identify duplicate content. More importantly, Google algorithms will penalize the sites with duplicate content and decrease the ranking. Duplicate or useless content posted on the web page will reduce the SEO score. Ensure to post the content that is informative, unique and intriguing. There are a few plagiarism test tools available. You can use these tools to detect the duplicate content. Examples of few include SmallSEO, quetext, plagscanetc. Page title in the beginning of the page is first read by the crawlers. These play an important role in ranking of the site. Ensure to add target keyword/primary keyword in the title and the title should be crisp, i.e. of less than 65 characters. And, try to avoid using alphanumeric symbols in the title. SEO is incomplete without having a powerful and effective title tag. There are six header tags used in SEO including h1, h2, h3, h4. h5, and h6. Ensure to use primary keyword in h1 tag and you can use h1 tag only once while others can be used multiple times. H1 tag has to be included to improve site ranking. There are high chances of your website appearing on the top when the user searches with the keyword that you have incorporated in the header tag. You need to position the keywords in the right places and use keywords relevant to the content of the web page. You need to add keywords multiple times in the article. This helps you to score good ranking in search results. You should not forcefully use the keyword in the content instead use in the places where it makes sense. Though, Meta tags do not appear on the web page, but is included in the code. It summarizes about the content of the page and should have the target keyword. The Meta description is available to the readers in the snippet of search engine results. The compelling description will drive the users to click on the link. Basically, there are four types of Meta tags available. 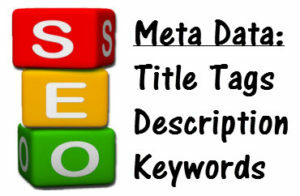 Meta Keyword attribute: It lists the keywords targeted for that particular web page. As per the latest updated released by Google, it was found that Meta keywords has no role to play in search engine ranking of the web page. Meta Title: It is the page title for search engine. The character limit of the tile should not exceed 60 characters. Meta Description: It is the crisp and concise description about the page that should not exceed 160 characters. Meta Robots: This allows the search engine spiders to crawl the web page. Many people think beyond on how to practice SEO and make their site SEO friendly while overlooking minor things which actually play crucial role in site ranking. Ensure to follow the above steps to improve traffic, sales and thereby search engine ranking. If you have any queries related to SEO or how to do SEO, you can get in touch with our talented SEO experts at SEO Kochi, a fast growing SEO company in India. We also provide superior quality mobile friendly web designing, web development, content writing, and app development services. 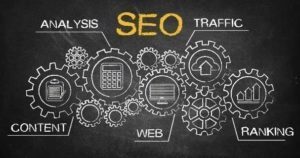 A well written article with every minute details about SEO. I highly appreciate your work. Thanks for sharing and expecting more Posts soon!! Thanks a lot Jasni Salim. Hope this SEO article is useful for you. Thank you for your words. Thanks for your valuable comment. Keep reading our blog posts.